Mini cruisers have been dominating the streets this year. They may look like the plastic skateboards that your grandparents used to ride in the 70s but this time around they have high quality hardware and modern plastic injection decks. They also ride much better than back in the day (no open cage bearings for a start). I took three of the most popular models out for a spin – a Globe Bantam, a Brighton Skateboards Cruiser and a Penny Skateboard. Here’s what I found out. Brighton and Penny both look very similar and are true to the original shape of the 70s, which is quite short and narrow. Globe is wider and longer and made from thicker plastic. The result is that Globe feels sturdier and more like a regular skateboard while Brighton and Penny ride more like longboards. Brighton and Penny also have a lot more flex making them better for kickflips and tre flips. The one you will prefer will probably depend on your riding style. I personally like the look and feel of the Brighton and Penny a bit more. Staying true to the 70s, Penny and Brighton have waffle grip on the deck while Globe have pioneered their own S-TRAC grip pattern. Both types have easily enough traction for cruising around town on, but you might find yourself sliding off on the big moves. Some people recommend adding grip tape to improve performance, but it kinda ruins the aesthetic. 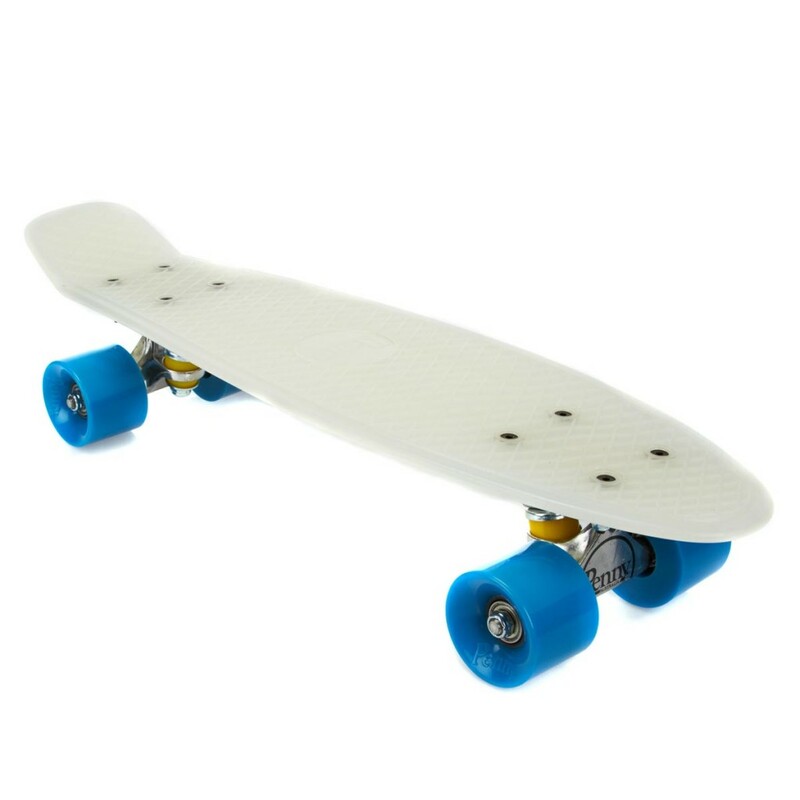 The trucks and wheels on all of these boards are of great quality and much better than you would expect on a cruiser at this price point. A cheap and easy upgrade for any of them would be to replace the stock bearings (which are fairly average) with something like Bones Reds. 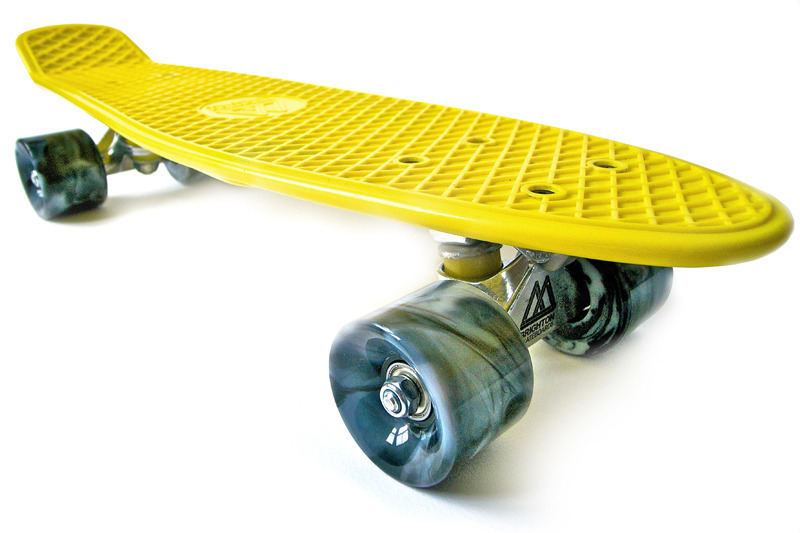 This will make it a little easier to keep up with your longboarding mates. The wheels on my Penny were screwed on a bit tight straight out of the box but that was an easy fix. The only other difference is that Penny’s wheels are slightly harder than the other two, making them faster and better for slides. They’re also branded with the Penny logo which is cool. Brighton and Globe’s wheels are softer and better for carving/cruising on rough surfaces. It’s very hard to pick a winner. Brighton and Penny are very similar to each other and the Globe is a different kind of ride. If you want a cruiser with good quality hardware that feels more like a normal skateboard then go with the Globe. If you want something with more flex that feels more like surfing then maybe go with the Brighton or Penny. I would be inclined to pick the Brighton over the Penny as it’s a bit cheaper and a UK skate brand. 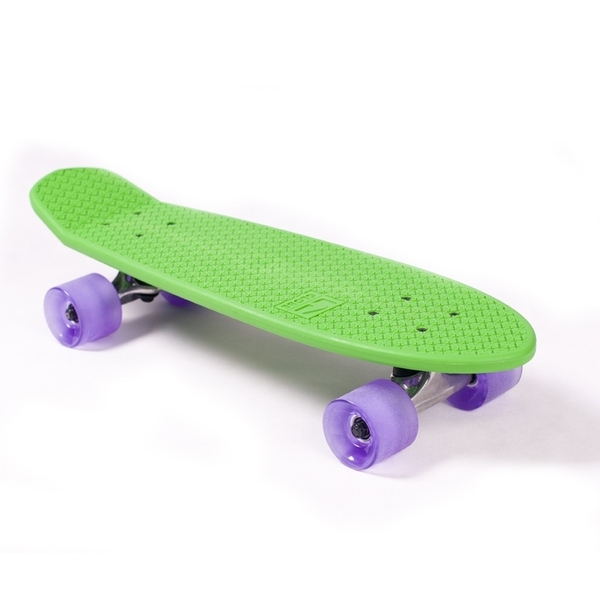 Penny does come in a wider range of colorways, though. Whichever one you choose to get, happy cruising! This entry was posted in Land Sports, Other, Reviews, Skateboarding, Skateboarding, Skateboards and tagged Brighton Skateboards Cruiser, Globe Bantam, Mini Cruisers, Penny Skateboard. Bookmark the permalink.